Remove and deflect cardboard waste from a die cutting process. 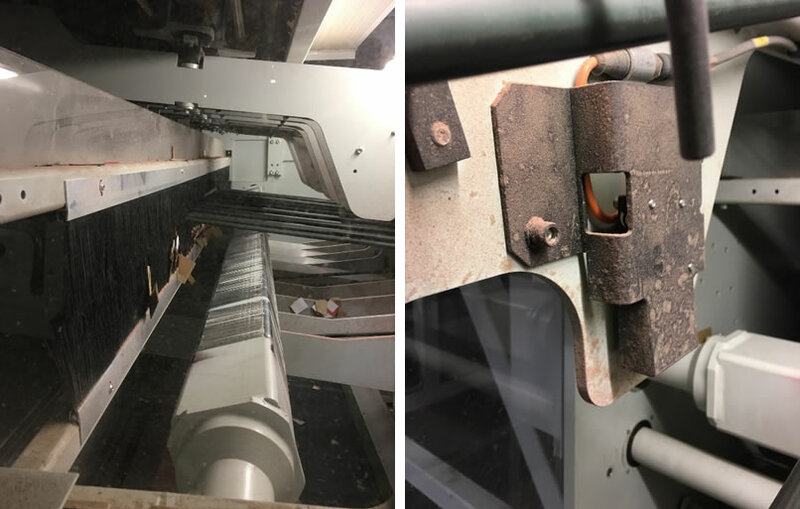 Cardboard waste build-up during the die cutting process meant production had to be stopped whilst an operative manually cleaned the inside of the machine. A 2800mm long Air Knife connected to a Paxton AT1200 15kW blower and 8 nozzles connected to a Paxton XT500 4.0kW blower.